New pictures and a “martyrdom” video are released of a British Muslim man suspected of being Britain’s first suicide bomber in Syria. Home Affairs Correspondent Darshna Soni reports. Abdul Waheed Majeed looks relaxed as he poses for the camera. He has his arms around local children at a refugee camp. In one he is wearing pink bunny ears. 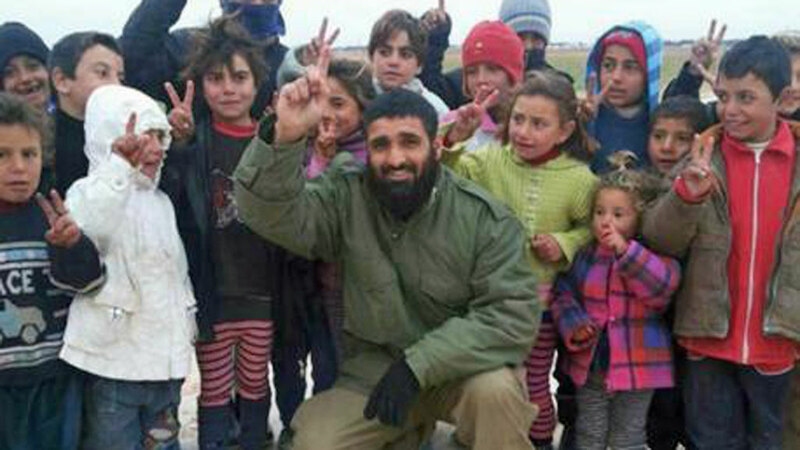 Mr Majeed’s family say he regularly sent such pictures to them, showing the humanitarian work he said he was doing on the Syria/Turkey border. But about a week ago, the pictures, messages and phone calls stopped coming. 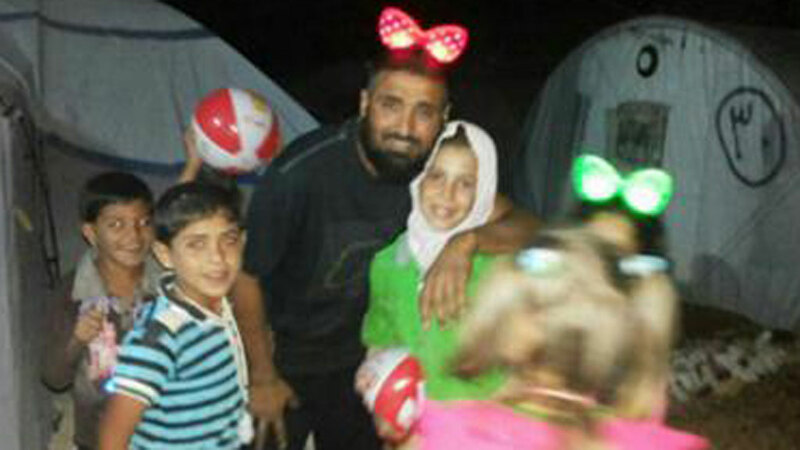 His wife and three children are now having to deal with the news that the 41-year-old may have blown himself up in a suicide bomb attack at Aleppo prison. Counter-terrorism officers have been searching Mr Majeed’s home in Crawley. As their investigation widens, they have also visited the homes of some of his friends. On Thursday, I watched as forensic officers examined a maroon car parked outside a house that belongs to somebody who travelled to Syria with Mr Majeed. I understand detectives are now investigating the links he may have had with a group of locals known as the fertiliser bomb plotters. This group was convicted of plotting to blow up the Bluewater shopping centre in Kent in 2004. We reported earlier this week that Mr Majeed had known the men well and that they all belonged to the proscribed al-Muhajiroun extremist group. One of the houses searched in Crawley belongs to Raheed Mahmood, the brother of one of the fertiliser plotters. I understand he travelled to Syria with Mr Majeed, but returned home without him. 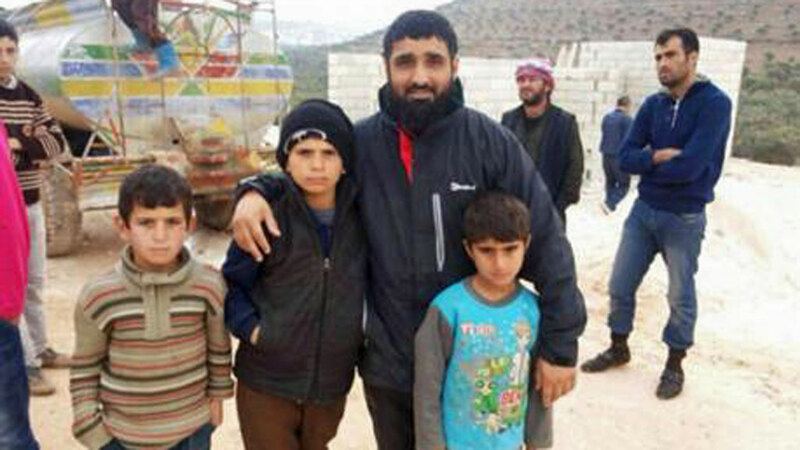 Mr Majeed’s family say if they had known he intended to carry out an attack in Syria, they would never have let him go. They are still hoping the unconfirmed reports are proven untrue. But this afternoon, a so-called “martyrdom” video was released, apparently showing Mr Majeed driving an armoured truck, loaded with explosives, into Aleppo prison.